Cross-cultural Management explores a broad range of topics that are essential to provide students with a big picture perspective on the impact of culture on international business. It provides critical and in-depth information on how cultures, demographics, and beliefs influence the way business is conducted in different parts of the world, or even in the same office among employees from different backgrounds. The book begins with a critical introduction to cross-cultural communication and business etiquette. 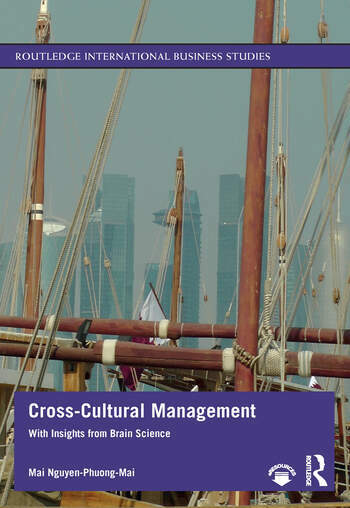 The latter parts explore important topics not typically found in cross-cultural management texts, such as diversity management, virtual teams, cross-cultural leadership competence, culturally responsive marketing, negotiation across borders, and cultural finance. Interdisciplinary insights from evolutionary biology, psychology and cultural neuroscience enhance the unique perspective offered in the book. With examples and cases that balance East-West perspectives, students of cross-cultural management, international management, and international business, will appreciate this valuable and engaging book. Dr. Mai Nguyen-Phuong-Mai is Associate Professor at Amsterdam School of International Business (AMSIB), The Netherlands. She also owns a training agency and freelances for diverse media channels. As a world citizen, she comes from the East, works in the West and lives everywhere in between.